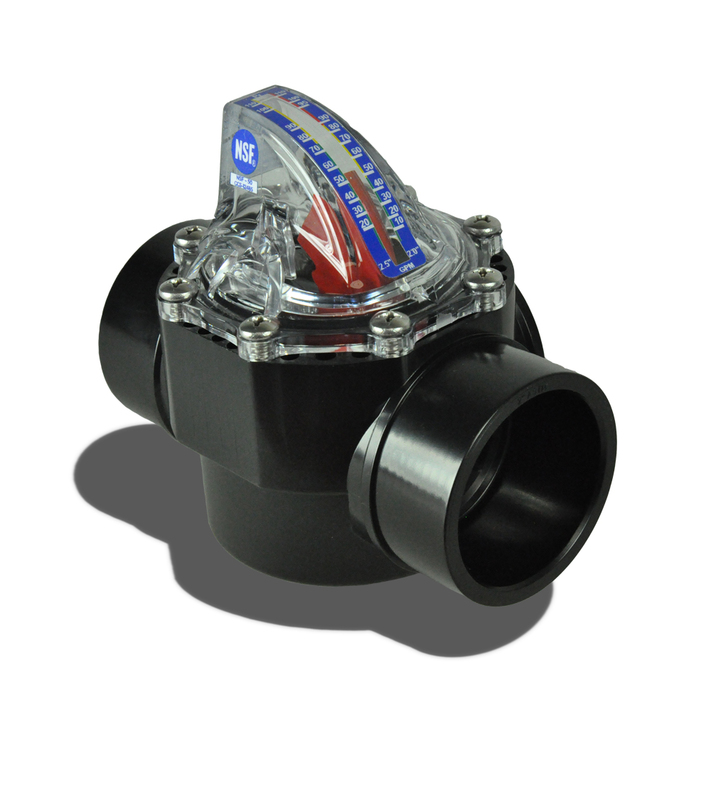 If you are looking for the new FlowVis Pool Flow Meter with check valve, here it is. There was quite a bit of buzz at the latest pool show, especially since it has achieved NSF-50 certification. This is not the case with the FlowVis flow meter with check valve. You can install the FlowVis anywhere in the plumbing and achieve digital accuracy. In a tight Swimming pool equipment room, this is essential. With many pools moving to variable flow speeds, it is very important to know the flow, and be accurate.